We’d love your help. 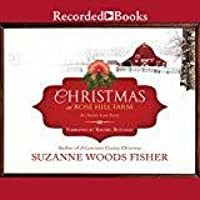 Let us know what’s wrong with this preview of Christmas at Rose Hill Farm by Suzanne Woods Fisher. Bess Riehl is preparing Rose Hill Farm for her Christmas wedding, but her groom isn't who she thought it would be. Billy Lapp is far away from his Amish roots working as a rose rustler for Penn State and wants nothing to do with Stoney Ridge, his family, or Bess. And that suits Bess just fine. Why should she think twice about a man who left without a word, without any expl Bess Riehl is preparing Rose Hill Farm for her Christmas wedding, but her groom isn't who she thought it would be. Billy Lapp is far away from his Amish roots working as a rose rustler for Penn State and wants nothing to do with Stoney Ridge, his family, or Bess. And that suits Bess just fine. Why should she think twice about a man who left without a word, without any explanation? It's time she moved on with her life, and that meant saying yes to Amos Lapp, Billy's cousin and best friend. But as Bess and Amos's wedding day draws near, her emotions tangle into a tight knot. She loves Amos. Yet she can't forget Billy. To ask other readers questions about Christmas at Rose Hill Farm, please sign up. I enjoyed this sweet, gentle story about a young Amish woman named Bess who faces quite the conundrum when she realizes that Billy, the man she has never stopped loving, has arrived back at Rose Hill Farm. That in itself would be an interesting story. But, this just gets better and better. Bess has to decide how Billy’s return affects her relationship with Amos, the man she is to marry in a matter of days! I really liked the subtle way the author allowed the reader to have glimpses into these cha I enjoyed this sweet, gentle story about a young Amish woman named Bess who faces quite the conundrum when she realizes that Billy, the man she has never stopped loving, has arrived back at Rose Hill Farm. That in itself would be an interesting story. But, this just gets better and better. Bess has to decide how Billy’s return affects her relationship with Amos, the man she is to marry in a matter of days! I really liked the subtle way the author allowed the reader to have glimpses into these characters’ recent pasts to tell this story. It was not confusing at all. It was very clear when something was a flash back in time. This was a great way to help the reader slowly understand the relationships and problems that caused Billy to leave the Amish community in the first place. I appreciated that there was not a simple fix to the situations. There was confusion over what had happened, hearts that were hurting, and things that needed to be said. The overall theme of “God being faithful even when we are not” was a beautiful one, as was the story of the mysterious rose that brought Billy back to the fold. I enjoyed watching Billy and Bess slowly learn to reconnect with each other over this flower, and the character of George added to the sense of wonder of the season. This was a nice, sweet story for Christmas. I received a complimentary copy of this book from Revell, through Litfuse Publicity, in exchange for an honest review, which I have given. I am not a huge fan of Amish fiction per se but there a few authors whose Amish novels I always read, and Suzanne Woods Fisher is one of them. She has released another delightful tale with Christmas at Rose Hill Farm. The characters and plot are engaging, and the details about the roses were fascinating. Like a rose carefully cultivated which blossoms at just the right time, this story and the relationship between Bess and Billy unfold under Fisher's masterful and creative hand. Bring in the sea I am not a huge fan of Amish fiction per se but there a few authors whose Amish novels I always read, and Suzanne Woods Fisher is one of them. She has released another delightful tale with Christmas at Rose Hill Farm. The characters and plot are engaging, and the details about the roses were fascinating. Like a rose carefully cultivated which blossoms at just the right time, this story and the relationship between Bess and Billy unfold under Fisher's masterful and creative hand. Bring in the season early with Christmas at Rose Hill Farm! Love, love, loved this story! Christmas at Rose Hill Farm was a story filled with many colorful characters during a Christmas Season. This is my first book by this author and I loved her writing style. I usually struggle through Amish stories but this one was very good. The story was interesting and I cared about every thing going on. Two of my favorite people were George and Maggie. Without them, this story would of been dull. And of course I LOVED the romance. The main characters of this story Love, love, loved this story! Christmas at Rose Hill Farm was a story filled with many colorful characters during a Christmas Season. This is my first book by this author and I loved her writing style. I usually struggle through Amish stories but this one was very good. The story was interesting and I cared about every thing going on. roses and religion and prodigal sons? I skipped over the bible verses I'll confess. our star-crossed lovers made good. one kiss, lots of heated glances. I think this is the longest I've taken to read so short a book. It wasn't even that I didn't want to read it, I mostly enjoyed the reading experience, I just had no problem walking away from it for weeks between reading half a chapter. I liked the characters and was invested in their relationships working out. It wasn't too romance heavy, the relationships were all not working out so there wasn't a lot of kissy-face, hand holding, mooning going on, there was grumpiness and anxiety and one-sided I think this is the longest I've taken to read so short a book. It wasn't even that I didn't want to read it, I mostly enjoyed the reading experience, I just had no problem walking away from it for weeks between reading half a chapter. I liked the characters and was invested in their relationships working out. It wasn't too romance heavy, the relationships were all not working out so there wasn't a lot of kissy-face, hand holding, mooning going on, there was grumpiness and anxiety and one-sided devotions. Mostly I was trying to find out what exactly happened to Billy to bring him to that point in his life. I had some issues with the book, 1) the setting and 2) the lack of satisfactory relationship conclusions. Why is it set in the 70s, they're Amish people, what difference does it make? I suppose it does make a difference for rose identification, but I think it's mostly set then because her other books with the same periphery characters are set then. I don't know how long she's been writing, maybe it was current when she started, or maybe that's the time she researched Amish people, I don't know, it doesn't matter. Maybe buses ran more frequently in the 70s, considering Billy seemed to be catching them at all hours to show up at the farm. The first time he needed a carriage ride to get there from the bus stop but never again so the distances involved in this town were questionable. Also were there answering machines because how were people leaving messages at phone shanties? I obviously don't know as much about Amish people as I thought. I can't tell if these aren't very strict ones or it's something about the 70s. I don't know if reading some connected book would help answer my questions about why things are certain ways, but I doubt it'll happen. The real issue with this book is that there is no real relationship payoff. The wedding is called off, but we don't get any new ones. It was clear very early on that Bess and Billy should be together and Maggie and Amos should become a couple, but we didn't even get those little payoffs really, let alone big wedding payoffs (though I guess Amos has his own series which is disappointing too because it's Billy and Bess that I want to hear the rest of the story about). We didn't get Christmas either for that matter, it ended on Christmas Eve kind of thing. It goes without saying that Suzanne Woods Fisher is one of my very favorite Amish fiction writers, but that "favorite" status also holds true in the general fiction area because of her ability to create rich, character-driven stories with multi-layered plots. Christmas at Rose Hill Farm, Suzanne's 25th novel, develops an unfinished love story from one of her previous novels, The Search - and although I've not yet read Suzanne's earlier books, this story easily stands alone. With a family rose farm, familiar characters in Stoney Ridge, a heartrending love triangle, and a mysterious character named George, this story thoroughly entertains and inspires. The characters are realistic, easy to engage with, and the setting of Rose Hill Farm is so vividly described that I could see and almost smell Bess's roses. Although I've never tried to grow roses, their beauty is unsurpassed and I found this aspect of the story fascinating. Billy, a "rose rustler," hunts for forgotten old roses that have survived for generations and tries to preserve them. And with his arrival at Rose Hill Farm, old feelings and hurts are resurrected. The story is set in 1977 and Suzanne very effectively interweaves their back story from the late 1960s with Bess's feisty and loveable grandmother, Bertha Riehl. I love how Suzanne has created a sense of community throughout her Stoney Ridge novels, the way characters and settings overlap. Something else that I especially enjoy is her use of descriptive phrases that poignantly convey a character's feelings, such as Bess's thoughts about the way Billy had changed over the years: "He had hardened into manhood. Yet he was stunted somehow . . . like a crop that had suffered an unexpected frost." Amos was conflicted over his best friend Billy's return, trying to smile "though his chest tightened with a sharp sadness that felt like the crisp snap of a twig." I'm always intrigued by the idea of divine appointments - a seemingly "chance" meeting with someone that was actually orchestrated by God - and that theme was beautifully illustrated when Billy is called to identify the rose Bess discovered in her greenhouse. Another message that I never tire of is the reminder that God is faithful, even when we are not. Christmas at Rose Hill Farm will fill readers with the spirit of Christmas, but is perfect for any time of the year as well. Highly recommended. The back story of this lost rose will be unveiled in Anna's Crossing, a story of the first Amish who crossed the Atlantic in 1737 on the Charming Nancy ship. Due out in March 2015! The main character is Bess Riehl who we first met in The Search (Lancaster County Secrets, Book 3). We meet up with Bess as she is busy planning her wedding to Amos Lapp. He isn't her first love, that would be Billy, but Billy is nowhere to be found and Bess is just trying to get on with Fans of Suzanne Woods Fisher's work are going to love this year's Christmas book. It is again set in Lancaster County and contains characters that we have come to know and love through some of her other series. It was fascinating to learn about heirloom roses and their history- for once I was more interested in that than the romance! I loved that the mystery of the lost rose was revealed slowly throughout the book. Even though Bess's grandmother was passed away, she was very much a strong presence in the story through memories and flashbacks. I loved her quirky sayings and the way she mixed up words :) The author did a good job of making the reader feel Bess's desperation as her wedding loomed closer a It was fascinating to learn about heirloom roses and their history- for once I was more interested in that than the romance! I loved that the mystery of the lost rose was revealed slowly throughout the book. Even though Bess's grandmother was passed away, she was very much a strong presence in the story through memories and flashbacks. I loved her quirky sayings and the way she mixed up words :) The author did a good job of making the reader feel Bess's desperation as her wedding loomed closer and her emotions didn't align with the choices she made. A close friend of Bess, Billy and Amos adds another dimension to the plot as she helps each of them sort out their true feelings. CHRISTMAS AT ROSE HILL FARM is a throwback to one of Ms. Fisher's earliest Amish series. I enjoyed getting reacquainted with the characters from this earlier collection, and remembered Bess' aggravation when her love interest only had eyes for another--and left with her. I understood Bess' anguish as her wedding approached, and Amos tried to do whatever he could to please her, but she kept thinking of Billy... Because a girl never forgets her first love. 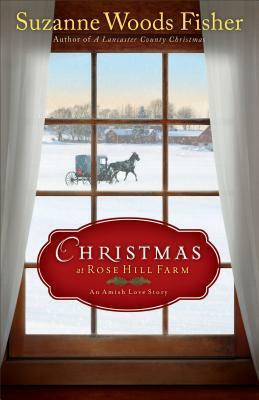 With realistic characterization that drew CHRISTMAS AT ROSE HILL FARM is a throwback to one of Ms. Fisher's earliest Amish series. I enjoyed getting reacquainted with the characters from this earlier collection, and remembered Bess' aggravation when her love interest only had eyes for another--and left with her. "Christmas at Rose Hill Farm" is a nice Christmas book. It follows Bess Riehl and Billy Lapp from the book, "The Search" book 3 in the series Lancaster County Secrets series. You can read this book without having read "The Search", but if you have read "The Search" it gives a nice setting to this story. Synopsis: Bess and her father have run her grandmother's rose business since her grandmother died. Bess has even expanded it to include old remedies, and they have a lot of fairly rare roses. One day, Bess discovers a rose that she has never seen before at the back of the greenhouse. Neither she or her father can identify it, so they try to get someone who can. They are put in contact with Penn U, who sends out their rose rustler. The rose rustler turns out to be Billy, whom Bess loves still, even though she is going to marry his cousin in a few weeks' time. Billy ran away from his community several years ago due to a falling out with his family. His brothers were always bullies, but something pushes Billy over the edge. He vowed to never return, and when he is forced to come back to the Plain community to try to identify the rose, he asks that no one tell anyone. Unfortunately, Billy can't be one and done, because the rose that Bess and her father show him isn't one that he has seen before. And since the single bud hasn't bloomed yet, that makes it even more difficult to figure out what it might be. As Bess' wedding to Amos draws nearer, so does the end of any contact with Billy, because once he identifies the rose, he never wants to return. What I liked: the spiritual aspect. It was a steady presence in the background, the foundation for the entire story. (Just for the record, I am not religious at all, and to have "spiritual" characters completely forget their faith until they all of a sudden say "praise the lord" or other things like that is annoying.) I liked that Billy struggled with his faith; trying to figure out how it fit in to his world now, and how it fit in to his life before. I also liked that Bess and her father were progressive without stepping outside of the Plain ideal. While looking for more books to read by this author, I discovered this book. It ties together characters from the two series that I've already read (although, I now realize, I read them out of order). Years have passed, and Bess Riehl is grown and engaged to be married...but not to the young man she fell in love with all those years ago. Rather, she's about to become the wife of Billy's cousin. All was well until Billy returned to Stoney Ridge to identify a mystery rose at Rose Hill Farm. Throug While looking for more books to read by this author, I discovered this book. It ties together characters from the two series that I've already read (although, I now realize, I read them out of order). Years have passed, and Bess Riehl is grown and engaged to be married...but not to the young man she fell in love with all those years ago. Rather, she's about to become the wife of Billy's cousin. All was well until Billy returned to Stoney Ridge to identify a mystery rose at Rose Hill Farm. Through pain past and present and the challenges of being able to forgive, Bess, Billy, and Amos try to find their ways to the truths hidden deep inside their hearts. I so enjoyed this story. As a gardener, I loved the details the author gives about roses and caring for them. (Roses don't grow well where I live, but I love them.) I also enjoyed the "hobo" character that helped Billy through so much. (No spoiler, but I figured out who he was before it was revealed!) A wonderful story of forgiveness and love. I did want to smack Billy, Bess, and Amos upside the head a time or two, though. It especially irked me that Bess wouldn't be honest with either guy. Amos was kind, but a bit of a pushover, until the end. And Billy? The stubborn apple didn't fall from the tree methinks. But, even though I wanted to shake some sense into them, I also wanted what was best for all 3 characters, so that's good. This book says it's the 4th in the Stoney Ridge Seasons series, but TBH, I would recommend reading it as a segue between the Lancaster County Secrets series and the Stoney Ridge Seasons series (so, between 'The Search', or even 'A Lancaster County Christmas' and 'The Keeper'). That said, I read them in the order mentioned here on GoodReads, and several years after reading the Lancaster County Secrets series and was not confused at all. One of my favorites ...Reminds me of Your "It's a Wonderful Life". I love how the story talks about forgiveness and the power of faith. A great Holiday book to enjoy full of memorable characters. This review has been hidden because it contains spoilers. To view it, click here. This was a sweet book, full of your typical love triangle with an Amish twist. I just wish these love stories were less predictable. Why can't the couple not work out for a change? A unique " not happy" ending would definitely make the book more memorable and unique. It's nice to read an "I know this is going to have a happy ending" book once in a while. This was one of those books, that you got a warm feeling inside. George was one of my favorite characters. Absolutely loved this gorgeously written story. Good characters. Clever weaving in of some fascinating information about roses. Will definitely be reading more from this author. You'll discover many different wedding customs for an Amish wedding. I've been a huge lover of roses and not quite sure where it came from. In fact, my husband understands that I would rather have a rose plant over a dozen of roses any day. Why? Because they will continue to produce blooms long after that dozen cut roses dies. And it is a constant reminder of the time they were purchased as my love gardens continues to grow. I've been a huge fan of Suzanne Woods Fisher and her ability to capture the love of the reader for all things Amish. So whenever I see her b I've been a huge lover of roses and not quite sure where it came from. In fact, my husband understands that I would rather have a rose plant over a dozen of roses any day. Why? Because they will continue to produce blooms long after that dozen cut roses dies. And it is a constant reminder of the time they were purchased as my love gardens continues to grow. I've been a huge fan of Suzanne Woods Fisher and her ability to capture the love of the reader for all things Amish. So whenever I see her books available for review and add in the element of a Christmas novel, and toss in the love of gardening roses for good measure, well I absolutely knew I had to have this one. And I was NOT disappointed in the slightest. This has all the elements of what I am looking for in a great Amish love story. A plot twist, a love that is just waiting to be discovered despite all the odds against them, and a love of something that will draw the characters together. That is just what you find tucked beneath the beautiful cover of Christmas at Rose Hill Farm. Bill Lapp has left his former Amish life behind as he works as a rose rustler at Penn State. Meaning it is his job to help discover roses that can't be identified and to also help cultivate lasting ones to be shared by rose lovers all over the world. You could say he is the rose expert. He simply walked away from a potential relationship with Bess Riehl when it seemed she had fallen into the same opinion of him as his father and brothers. It was simply better to try and find a new start someplace far from his feelings and his heart. Bess Riehl is hoping that her upcoming wedding to Amos Lapp will enable her to move forward with a man who truly loves her and will do anything to make sure she is well taken care of. Only thing is, she can't forget the man who claimed her heart at 12 and wonders if she will ever find a way to put Billy in her past. Working alongside her father at Rose Hill Farm, Bess discovers a rose plant beneath the potting table while cleaning things out before the wedding and believes it might be the one special rose her grandmother had told her about so long ago and thought was destroyed. But there is only one way to know for sure and her father contacts their local rose expert but he can't make it and suggest that Billy be the one to do it. The only thing is that neither of them know that Billy is the rose rustler until Bess arrives to pick him up. Will he be able to stick to his job or will something more happen to draw them closer together? What is the significance of this mystery rose at Christmas? Only time will tell. Loved this Amish love story about Bess and Billy. Lots of background, interesting twists to the story, but LOVED all the storyline about types of roses and identification! Really liked it! Billy Lapp's visitor's eyes were like that ~ Neither blue nor purple, they were a near-perfect match for the amethyst crystal interior of a geode he remembered that Dawdi Zook, his mother's father, had kept on his fireplace mantel back in Stoney Ridge....While the minerals on the exterior created a hard shell, the ones that seeped to the interior were transformed into beauty. An example from nature to show how God brings good out of bad. Billy's memories of Stoney Ridge came to the surface unbidden. He is a rose rustler for Penn State ~ identifying heirlooms long forgotten. Like his life it seems. Bess Riehl goes to the bus stop to pick up the stranger coming to identify their "lost" potted rose she found beneath a workbench in the greenhouse at Rose Hill Farm. Growing heirloom roses, this one stood off by itself, hidden from view it seemed. Strong rootstock had been in the Riehl family for generations; sturdy, disease resistant, and able to survive even in neglected gardens. Billy left four years ago, unknown to Bess of his whereabouts. Cousin and childhood friend of Amos Lapp, Bess's soon groom-to-be, Billy comes back to Stoney Ridge to identify the rose. Having to wait until the rosebud opened to complete his research, Billy commutes from Penn State to the Riehl's greenhouse frequently. Memories from his past with his family and with Bess define what he has left behind. This story grows as forgiveness is paramount in going forward. Within heart-searching, Billy, Amos, and Bess find true meaning in where they are and where they can be with pride extinguished. The bright spot in their lives is the bishop's daughter, Maggie Zook. She lightens up the mood with her quirkiness. I looked forward to and anticipated George coming on the scene to help Billy out, in his wise words and in covering Billy's work at the College Station greenhouse while Billy was away. He is Billy's comfortable visitor coming in out of the cold, sharing peanut butter and jelly sandwiches and hot coffee. He was ready with what was needed by Billy specifically. I am reminded of Psalm 139, how our loving Father is with us and never leaves us. About the author: Suzanne Woods Fisher is the bestselling author of the Inn at Eagle Hill series, Lancaster County Secrets series, and the Stoney Ridge Seasons series, as well as nonfiction books about the Amish, including Amish Peace. She is also the coauthor of a new Amish children's series, The Adventures of Lily Lapp. Her interest in the Anabaptist cultures can be directly traced to her grandfather, who was raised in the Old Order German Baptist Brethren Church in Franklin County, Pennsylvania. Suzanne is a Carol Award winner and a Christy Award finalist. She is a columnist for Christian Post and Cooking & Such magazines. She lives in California. Bess Riehl should be excited to be getting married to Amos Lapp. He is everything that a good Amish man should be and he loves her. As she prepares for her Christmas wedding at her home, Rose Hill Farm, she never imagined her groom would be Amos; her first love would always be Billy Lapp, Amos’ cousin and best friend. After Billy abruptly left home and broke her heart, Amos was the one to help console her and patiently waited to court her. Although life is not what she originally imagined, she is happy with Amos and feels she has forgiven Billy wherever he is. However, Billy has become the rose rustler, one who researches and identifies unknown roses, and Bess needs his help. She and her father have taken over the rose business and happen to find a rose bud that was hidden and is unidentifiable. Penn State sends its rose rustler to investigate and Billy suspects that the rose is an old rose that hasn’t been seen in hundreds of years, but he must wait until it blooms to be sure. As Billy travels back and forth, he can’t help the old feelings for Bess, but she is engaged to a good man. Will Bess reveal what she thinks she knows about that particular rose or will she keep it to herself to keep Billy coming back? If Bess is ready to say “I do” to Amos, why does she still feel a connection with Billy when he lets his guard down? Can Billy find peace for the reasons that he left in the first place? Can God show him the way back home and does that include Bess? Will this Christmas be full of miracles and redemption? I do not think I’ve ever read anything from Suzanne Woods Fisher, but I thoroughly enjoyed this book. Love triangles seem to be so common, but the author was still able to spin some fresh material that was heartwarming and heartbreaking. I’ve never read an Amish romance that had a family like Billy Lapp’s family, but the reader definitely sympathizes with Billy and his struggles. The author was not afraid to portray some darker sides and struggles of humanity no matter their background. I love how she continued to weave faith into this story about miracles and Christmas. I couldn’t put the book down and want to read more from the author about this charming community. Being a biology major, I was also fascinated with the research about roses that went into the story. I had no idea about the huge rose community that existed. I always enjoyed botany in college, but the story made me love roses even more and want to search out the rarer breeds. I was also impressed with the greenhouse technology, but also confused since I didn’t think the Amish used any machines; I guess I’ll have to research that information more. I recommend this book to anyone who likes Christian romance from an Amish perspective. Bess Riehl is preparing Rose Hill Farm for her Christmas wedding, but her groom isn’t who she thought it would be. Billy Lapp is far away from his Amish roots working as a rose rustler for Penn State and wants nothing to do with Stoney Ridge, his family, or Bess. And that suits Bess just fine. Why should she think twice about a man who left without a word, without any explanation? It’s time she moved on with her life, and that meant saying yes to Amos Lapp, Billy’s cousin and best friend. But as Bess and Amos’s wedding day draws near, her emotions tangle into a tight knot. She loves Amos. Yet she can’t forget Billy. As the history of the lost rose is pieced together, it reminds Bess and Billy—and Amos, too—that Christmas truly is the season of miracles. Fisher has woven a winning love story in Christmas at Rose Hill Farm! Filled with beloved characters from the Rose Hill series, this story continues their saga in a fascinating way. I thoroughly enjoyed reading more about Bess and her family’s expertise with roses, and the history inherent to the story is exciting. Who knew the story of a flower could be so much fun? It made me want to run right out to that old cemetery I used to visit as a kid and search for roses! Billy’s spiritual journey was exciting, too. Watching him grow and seeing the comparison between the way that he wanted to deal with his past painful relationships and the way that God could use them is enlightening. Shouldn’t we all take that bigger-picture view of life? Bess’ personality changes added another layer of reality to the story. As her translucent self becomes more brash like Bertha, she becomes more fun – and the flashbacks that she and Billy have both highlight these changes and add depth to the story. Christmas at Rose Hill Farm is another Fisher story that I simply couldn’t put down. I think I need to pull out the other Rose Hill stories and read them again, because I am not ready to let Bess, Billy, Amos, and Maggie go already …. I would recommend this book to any Christian. I love all of the quotes from the Bible too. It is not only a great read, but inspiring as well. Suzanne Woods Fisher in her new book, “Christmas at Rose Hill Farm” published by Revell introduces us to Bess Riehl. From the back cover: Bess Riehl is preparing Rose Hill Farm for her Christmas wedding, but her groom isn’t who she thought it would be. Billy Lapp is far away from his Amish roots working as a rose rustler for Penn State and wants nothing to do with Stoney Ridge, his family, or Bess. And that suits Bess just fine. Why should she think twice about a man who left without a word, with Suzanne Woods Fisher in her new book, “Christmas at Rose Hill Farm” published by Revell introduces us to Bess Riehl. From the back cover: Bess Riehl is preparing Rose Hill Farm for her Christmas wedding, but her groom isn’t who she thought it would be. Billy Lapp is far away from his Amish roots working as a rose rustler for Penn State and wants nothing to do with Stoney Ridge, his family, or Bess. And that suits Bess just fine. Why should she think twice about a man who left without a word, without any explanation? It’s time she moved on with her life, and that meant saying yes to Amos Lapp, Billy’s cousin and best friend. But as Bess and Amos’s wedding day draws near, her emotions tangle into a tight knot. She loves Amos. Yet she can’t forget Billy. Bess is going to get married. That is not a good thing as she is going to marry the wrong man. The love of her life, Billy, has left and she is going to settle for second best. However there is this matter of Grandmother’s rose. Bess needs to have it identified and the only one to do it is Billy only Bess doesn’t know it is Billy until she goes to pick him up. Now the fun really starts. Mystery, marriage proposals and romance, these are all ingredients in this highly entertaining story. Suzanne Woods Fisher writes an interesting story that moves along at a remarkably brisk pace. Ms. Fisher has a lot of characters to work with and she provides an excellent story for them to grow in. I am a huge fan of Suzanne Woods Fisher . I have yet to read a story by her that was not deep, heart warming, insightful and Godly. This book was not the exception. I adore how Suzanne shows how God plays a hands on, interested role in our lives, even when we do not realize it is His hand at work right away. Billy Lapp is a head strong, stubborn, rose rustler man. He has abandoned his Amish roots due to a harsh family life and a broken heart. Despite this, his teaching from his youth developed h I am a huge fan of Suzanne Woods Fisher . I have yet to read a story by her that was not deep, heart warming, insightful and Godly. This book was not the exception. I adore how Suzanne shows how God plays a hands on, interested role in our lives, even when we do not realize it is His hand at work right away. Billy Lapp is a head strong, stubborn, rose rustler man. He has abandoned his Amish roots due to a harsh family life and a broken heart. Despite this, his teaching from his youth developed his life long love of roses which has allowed him to pursue his dream of finding the most unique of all roses. Unfortunately, finding that rose means he has to come face to face with his past and the woman that broke his heart-Bess. Unbeknownst to Billy, Bess is engaged to his cousin and best friend Amos Lapp. Throughout this story we see the pain, love, hurt and expectations Billy, Bess and Amos all have of each other, their relationships and the right thing to do in Gods eyes. Guided by George, Billy is taught to look deep to his past and confront his demons head on before he looses everything he loves. This is a great story with characters you can fall madly in love with. Easy book to recommend to those who love Amish fiction, roses or a beautiful story. Her interest in the Amish began with her grandfather, who was raised Plain. A theme in her books (her life!) is that you don’t have to “go Amish” to Suzanne Woods Fisher is the bestselling, award winning author of fiction and non-fiction books about the Old Order Amish for Revell Books, host of the radio-show-turned-blog Amish Wisdom, a columnist for Christian Post and Cooking & Such magazine.